Managaging multiple brands, businesses, and products can definitely get complicated. Freshsales CRM lets you keep your finger on the pulse of your business by giving your tools with which to easily sort and monitor the progress of diverse deals in your sales funnel. You can be in control of your sales and planning by knowing your expected revenue for several months ahead. Get a funnel view into your sales pipeline by quickly looking at the number of deals, and their value at each stage of the sales process. Quickly identify the deals you need to focus on for each day. Know how much business you’re likely to close in the coming months, spot bottlenecks, and drive sales to closure. 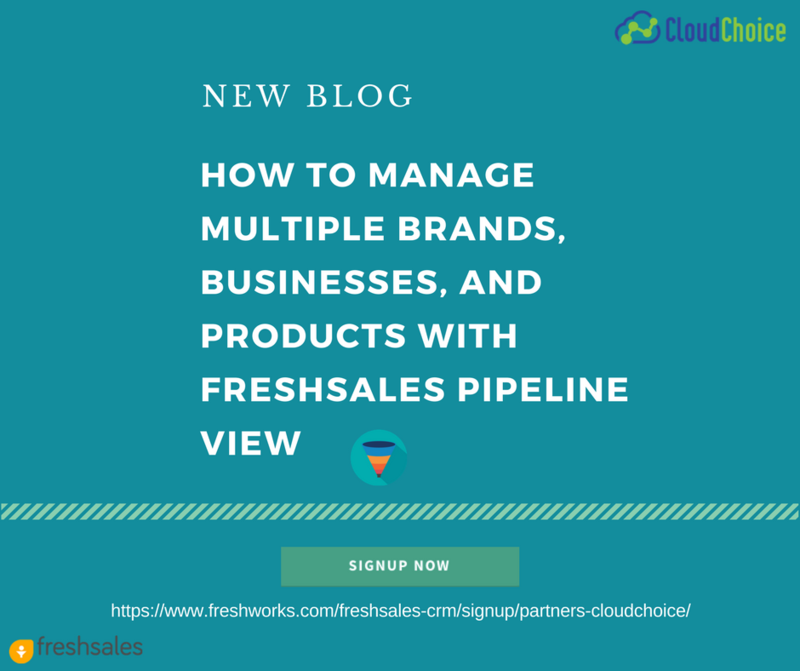 By using Freshsales features you can easily manage your multiple brands, businesses, and products. Create a lead that you can easily convert lead into a deal. What is a lead? A lead is an opportunity for a customer to purchase your product or service. What is a deal? A deal is a transaction to purchase your product or service. Freshsales allows you to easily track pending deals through each stage of the sales cycle. This is important for two reasons: it allows other sales agents and managers to easily see how far along the sales process you are with an account. It also gives you insight as to the duration of the sales cycle so that you can easily determine what deals are worth in terms of time spent. Sometimes a deal takes more time than the revenue value. This allows you to make better business decisions. The multi pipeline is essential for businesses to be able to differentiate among products, brands, and businesses. Think about it, if you had one pipeline that tracks all your accounts wouldn’t it be difficult to measure what is pending and what is successful? With a single pipeline, it is easy to have significant deals fall through the cracks while smaller deals chew up valuable sales time? Multi Pipeline filtering allows you to be more productive invest your sales time on those lucrative deals and move them to closure. Freshsales makes it easy for you to track these account activity effectively, efficiently and in real time.